Poison ivy turns a brilliant red color in the fall. 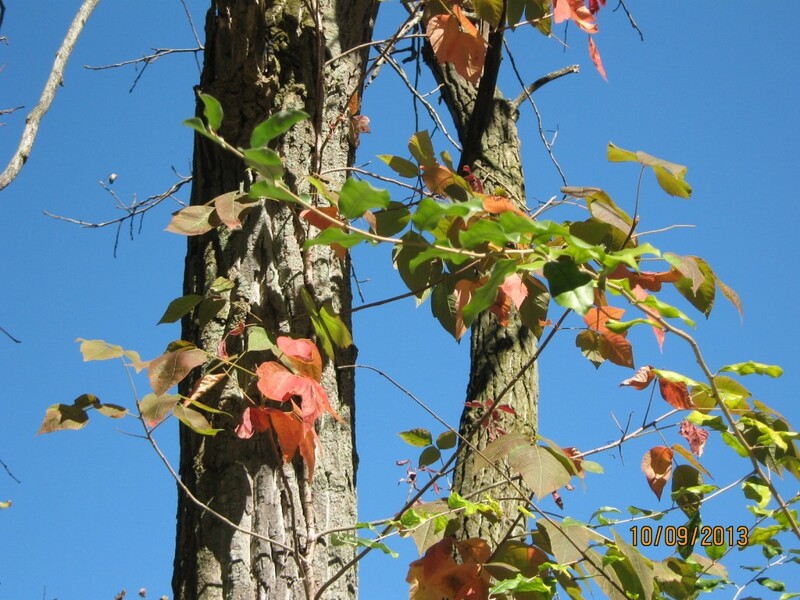 This poison ivy vine is just beginning to turn color. I’ve had people ask me if it is possible to grow their own wheat. Actually you can grow wheat in small, garden-sized areas using the gardening tools you already have. In Michigan we grow soft winter wheat. So, what does that mean? 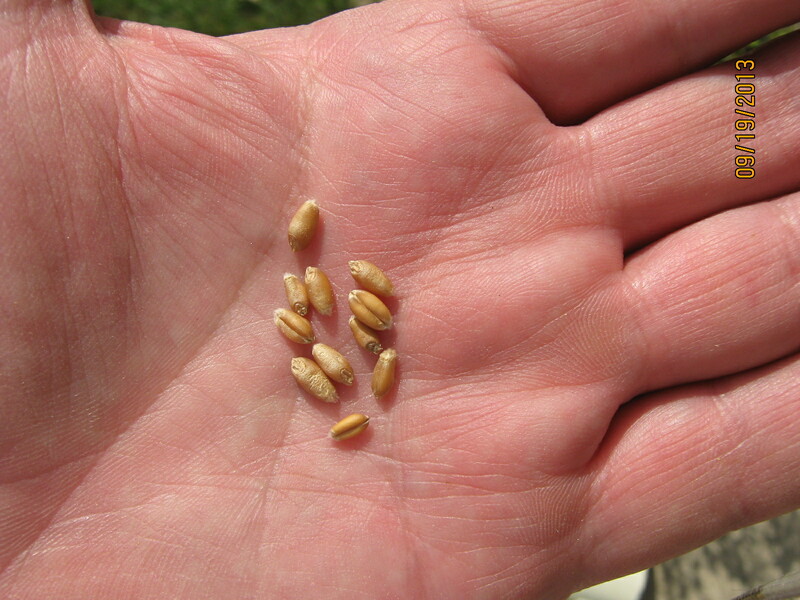 Farmers plant around two million wheat kernels per acre. Right now is the optimum time to plant winter wheat in our area. Mid to late-September is called “the Hessian Fly free date”. In July I planted 30 broccoli plants for a late season harvest and they have been growing like crazy. That is, until one morning last week I went out to check them only to find they were attacked overnight. It wasn’t rabbits because their feeding leaves behind clean-cut edges, like someone snipped them with a pruner. 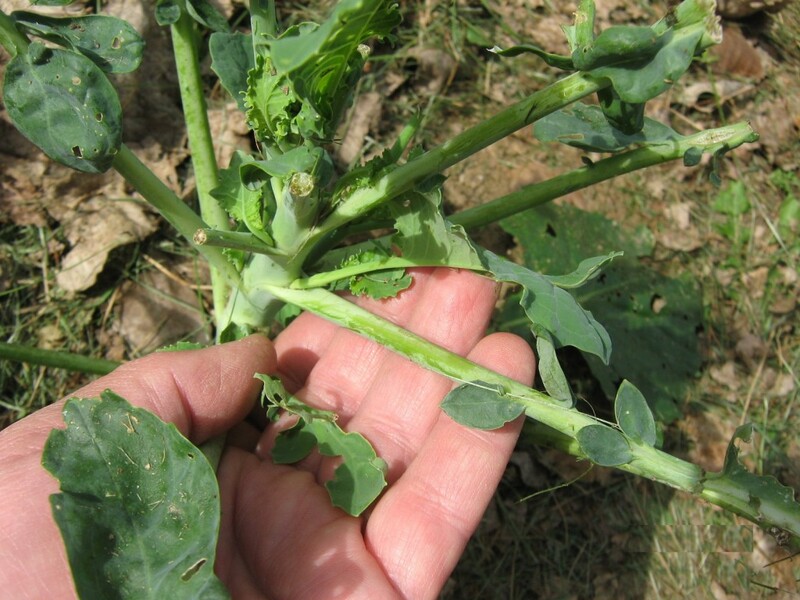 These were torn leaves with the damage mostly on the top growth — it was deer nibbling on the broccoli. This patch is outside the fenced-in area of the main garden. Instead of putting up more fencing, I decided to try something different, coyote urine. I have not used a deer repellent for several years because most of the older materials never seemed to work very well. The package label said that it would take two to three weeks for the urine to work but, in this case, it worked immediately. I treated that patch and the next morning those plants looked fine, while an area way on the other side of the garden sustained heavy feeding. I’m now a believer in coyote urine and plan to keep some around to use in the future. By the way, the urine is not in its original liquid state, the manufacturer formulated it into a fine granular material that is easy to apply. Now, I have to ask, when pronouncing coyote do you say: “ky-yoot” or ky-o-tee?